We "R.N. Industries (A Sister Concern of Modi Sprinklers Pvt. Ltd)" are counted among the highly recognized and trusted organization involved in manufacturing and supplying a broad assortment of Pipes and Fitting, since our foundation in the year of 1986. 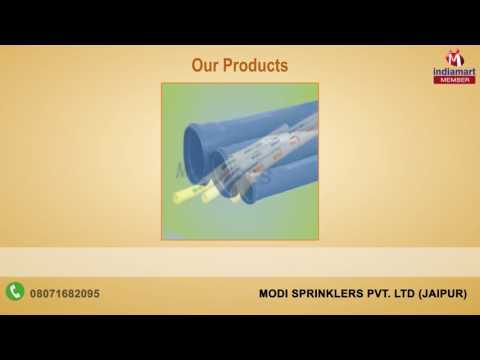 In this impeccable assortment we are offering PVC Conduit Pipes, Rigid PVC Pipes and HDPE Sprinkler System. We manufacture the offered assortment of products by using high quality input fact. These products are demanded by our huge clients owing to their longer service life, attractive designs and minimal maintenance.